Eyebrows are one of the most important features of your face, so it’s so important to have the right shape for your face. The most common problem I see with eyebrows is that people over-tweeze their brows- leaving small, pencil-like brows. Allowing your brows to grow in fuller can change the look of your face- framing your eyes more beautifully, and frequently making you look younger. Just look at the difference between these two brows and how it changes the look of her face. This is a great article that really describes how to best shape your eyebrows depending on the shape of your face. For example, if you have a long, oval-shaped face, Anastasia says to avoid arches and stick to thick, straight-arched brows. Despite all the information online about how to shape your brows on your own at home, I highly recommend going to see an esthetician to help you shape your brows. I love helping clients achieve their best brow and seeing the difference it makes in shaping and framing their faces. 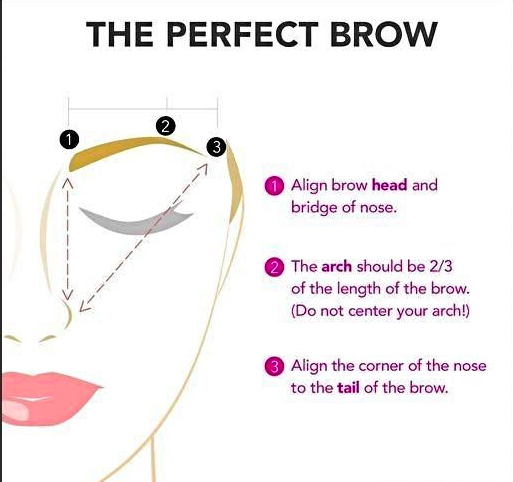 Click here to make an appointment with me today for a brow consultation!